These words by Mantra’s owner and great tattoo artist Ben Gun, clearly describe what tattooing and art means for us: pure passion!! And doing what you love the most for a living will have only one result: quality work in every detail of the process! Mantra Tattoo has been offering the best custom tattoos and piercings since 2006. And all of our artists have at least 7 years of tattooing experience, or more. 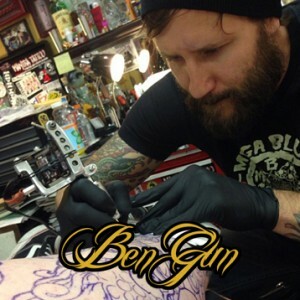 Ben Gun started tattooing at the request of his friends when he was 17, which then lead him to become a professional tattoo artist and open his own shop. If you are thinking of getting your first tattoo, we know that choosing the right design can be a little difficult sometimes. Here at Mantra we have a lot of experience with first time clients, and we’ll help you decide what you want, ease you out and guide you throughout the process. This is top priority for us! We make sure that every day, all year round, we are taking care of keeping our equipment clean and safe; making sure every client that comes in here is getting the best tattoo, best work and the safest, cleanest procedures. 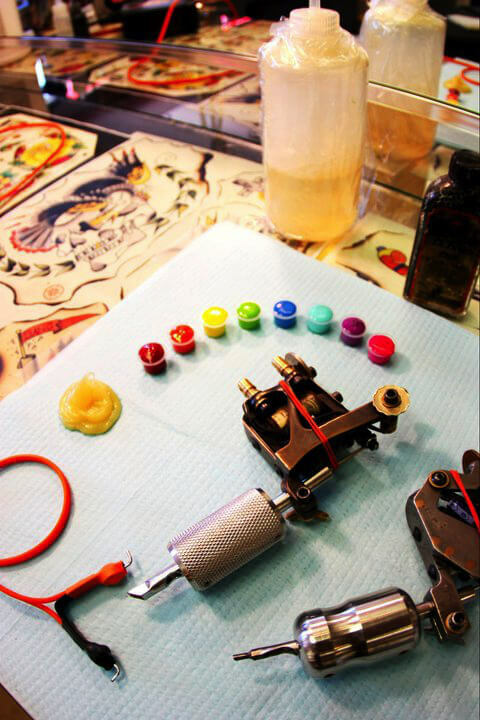 We use only medical grade sterilization and always new needles on every tattoo and piercing. Our shop is fully inspected and regulated by the Jefferson County Health Department, which comes to inspect us yearly and have always gotten A+ scores.